Abbott Laboratories has announced that it will no longer launch new medicines in Thailand. In addition, Abbott has decided to withdraw its current applications for medicines in Thailand. The decision is based on Thailand's recent decision to issue compulsory licenses for Abbott's AIDS drug Kaletra, and the failure to reach an agreement with the Thailand government regarding reduced pricing for Kaletra. International pharmaceutical companies have openly criticized Thailand's issuance of recent compulsory licenses for two drugs (Abbott's Kaletra and Plavix made by Bristol-Myers Squibb and Sanofi-Aventis) without first consulting the companies that owned the drugs. On the other side of the issue, activists have been praising Thailand's actions while criticizing Abbott's decision as socially irresponsible. The United States Patent and Trademark Office recently issued U.S. Patent No. 7,179,484 to Azaya Therapeutics, Inc. The '484 patent, which relates to protein-stabilized liposomal formulations for the delivery of pharmaceutical agents, is the first U.S. patent to be awarded to the San Antonio-based pharmaceutical company. After receiving a Notice of Allowance in November 2006, Azaya announced that the '484 patent would allow the company to fully utilize its proprietary Protein Stabilized Liposome (PSL®) nanotechnology, which allows for the production of uniform liposomal particles of less than 200 nm in size in a single-step manufacturing process. According to Azaya, the strength of its PSL® nanotechnology is that it can be used to encapsulate a large array of water insoluble drugs. Azaya has described the '484 patent as a "core technology patent" that will allow the company to further develop its lead product candidate, ATI-1123. ATI-1123 is a PSL® formulation of Aventis' Taxotere, which is a poorly water-soluble semi-sythetic taxane analog used in the treatment of non-small cell lung, prostrate, and breast cancer. Prior to the development of Azaya's PSL® nanotechnology, Taxotere's poor water-solubility had been overcome by formulating the compound with a toxic carrier, Tween 80. In addition, Azaya has been using its PSL® nanotechnology to develop a secondary product candidate, ATI-1153. ATI-1153 is PSL® formulation of SN-38, which is an active metabolite of Pfizer's drug CAMPTOSAR® for use in treating colorectal cancer. While SN-38 has proven to be more potent than alternative therapeutics, absent PSL® encapsulation, it cannot be administered directly to patients due to its water insolubility and high systemic toxicity. (b) removing organic solvent from said emulsion to form the protein-stabilized liposome nanoparticles, wherein said liposome nanoparticles have sizes below 400 nm and said emulsion-forming protein adsorbed onto their surface. 30. A protein-stabilized lipid formulation comprising protein-stabilized liposome nanoparticles and a lipophilic pharmaceutical agent, the formulation prepared by a process selected from the group of processes consisting of those processes set forth in any one of claims 1, 2-9 and 10-29. Additional information concerning Azaya's PSL® liposome nanoparticles and manufacturing process, including an animated simulation, can be found here. The USPTO published a pre-OG notice regarding its new position on restriction practice in pending applications that relate to nucleic acid sequences. Prior to this notice, the PTO had been officially operating under the direction of an Official Gazette notice dated November 19, 1996. The old notice allowed for a partial waiver of requirements for restriction and unity of invention for applications relating to nucleotide sequences by permitting examination of a "reasonable" number -- typically up to ten -- independent and distinct molecules described by their nucleotide sequences in a single patent application. This newly published notice effectively rescinds the 1996 notice, and requires that claims to polynucleotide sequences "be considered for independence, relatedness, distinction and burden as for claims to any other type of molecule." Effectively, this means that applicants will be allowed to claim only a single polynucleotide sequence per patent application. The notice lists a number of factors that motivated the change, the most interesting of which (to me) is the 54-fold increase in the number of nucleic acid sequences in the GenBank® database (and a 91-fold increase in the number of nucleotides) between 1996 and February 2006. Further, the Office believes that this change will provide applicants with a more focused and consistent course of examination, as a result of the decrease in the search and examination burdens. This notice provides an official change in the PTO's policy regarding the treatment of inventions relating to polynucleotide sequences. However, this change likely will have little to no effect on the day-to-day practice of biotech restriction practice, as this notice seems to postdate what has already become common practice at the PTO. Asenapine - a novel psychopharmacologic agent for the treatment of patients with schizophrenia and acute mania bipolar disorder. Sugammadex - for the reversal of neuromuscular blockade induced during surgical procedures. NOMAC/E2 - an oral contraceptive product containing nomegestrol acetate, a novel progesterone, and estriadiol, a natural estrogen. ORG36286 - a long-acting recombinant follicle-stimulating hormone for infertility. Esmirtazapine (ORG50081) - for the treatment of insomnia and potentially for hot flashes in menopausal women. Organon BioSciences, a wholly owned subsidiary of Akzo Nobel, consists of two operating units: Organon, a human pharmaceuticals business, and Intervet, the world's third largest animal health care company. In 2006, Organon had US $3.4 billion in sales and Intervet had US $1.5 billion in sales. Organon's leading products include Follistim/Puregon, a follicle-stimulating hormone for infertility; Esmeron/Zemuron, a muscle relaxant; and NuvaRing and Implanon for contraception. Among the products being offered by Intervet are Nobivac, a range of canine vaccines; Panacur, a de-wormer; Bovilis, a bovine biological for disease control and eradication; and Nobilis, a poultry vaccine to keep flocks free from infectious disease. Organon's patent portfolio includes twenty U.S. patents and at least four U.S. patent application publications, including U.S. Patent Application Publication Nos. 2006/0084692 and 2006/0128688, which are directed to methods of treating bipolar disorders or schizophrenia using asenapine, and U.S. Patent Publication No. 2007/0027134, which is directed to a crystal form asenapine maleate. Intervet's portfolio includes six U.S. patents. Interestingly, Akzo Nobel's sale of Organon BioSciences marked a departure from its announcement late last month that it planned to list the pharmaceutical company before the end of March (see Reuters report). Akzo Nobel's plans for an Organon IPO had come on the heels of good news regarding Organon's attempt to secure FDA approval for its schizoprenia drug asenapine. 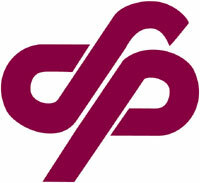 Schering-Plough said that it expects the deal to close by the end of this year. Additional information concerning the merger can be found in a statement released by Akzo Nobel. MacroArray Technologies, LLC has announced that it has licensed its PCADM-1 antibody test to Abbott. The PCADM-1 protein is a prostate specific protein that can be detected in the urine. The protein is overexpressed in malignant prostate tumors. Under the terms of the agreement, Abbott will develop and market the PCADM-1 test. Specific terms were not disclosed in the press release. Declaratory judgment of noninfringement and invalidity of U.S. Patent No. 6,979,689 ("Compositions and Methods for Treating Upper Respiratory Congestion," issued December 27, 2005) stemming from Cypress's manufacture and sale of its Hydro-DP (diphenhydramine hydrochloride, phenylephrine hydrochloride, and hydrocodone bitartrate, used to treat congestion and cough). View the complaint here. Tiber Laboratories, LLC et al v. Cypress Pharmaceuticals, Inc. Infringement of U.S. Patent No. 6,979,689 ("Compositions and Methods for Treating Upper Respiratory Congestion," issued December 27, 2005) based on Cypress's manufacture and sale of its Hydro-DP (diphenhydramine hydrochloride, phenylephrine hydrochloride, and hydrocodone bitartrate, used to treat congestion and cough). View the complaint here. Caraco Pharmaceutical Laboratories, Ltd. v. Forest Laboratories, Inc. et. al. Declaratory judgment of noninfringement of U.S. Patent No. 6,916,941 ("Crystalline Composition Containing Escitalopram," issued July 12, 2005) in conjunction with Caraco's filing of an ANDA seeking approval to manufacture and sell a generic version of Forest's Lexapro® (escitalopram oxalate, used to treat depression and generalized anxiety disorder). View the complaint here. The complaints in these cases are substantially identical. Infringement of U.S. Patent Nos. 5,352,605 ("Chimeric Genes for Transforming Plant Cells Using Viral Promoters," issued October 4, 1994) and RE39,247 ("Glyphosate-tolerant 5-enolpyruvylshikimate-3-phosphate Synthases," issued August 22, 2006) based on defendant's use of soybean seed produced from earlier planted Roundup Ready® soybean seed. View the Krone complaint here. Cima Labs, Inc. et. al. v. Actavis Group HF et. al. Infringement of U.S. Patent Nos. 6,024,981 ("Rapidly Dissolving Robust Dosage Form," issued February 15, 2000) and 6,221,392 (same title, issued April 24, 2001) (both assigned to Cima and licensed exclusively to Schwarz Pharma in certain fields of use) following a paragraph IV certification as part of Actavis's filing of an ANDA to manufacture a generic version of Schwarz's NIRAVAM® (alprazolam orally disintegrating tablets, used to treat anxiety). View the complaint here. Otsuka Pharmaceutical Co., Ltd. v. Sandoz, Inc. Infringement of U.S. Patent No. 5,006,528 ("Carbostyril Derivatives," issued April 9, 1991) following a paragraph IV certification as part of Sandoz's filing of an ANDA to manufacture a generic version of Otsuka's Abilify® (aripiprazole, used to treat bipolar disorder and schizophrenia). View the complaint here. On March 9, 2007, Innogenetics announced that the Federal Circuit reinstated a permanent injunction issued by the District Court for the Western District of Wisconsin against Abbott Laboratories. In September 2005, Innogenetics sued Abbott Laboratories for infringement of U.S. Patent No. 5,846,704, which covers a method of genotyping hepatitis C virus (HCV). At trial, the District Court determined that the '704 patent was infringed as a matter of law, and on September 1, 2006, a jury found the '704 patent to be valid. One week later, the same jury found Abbott's infringement to be willful and awarded $7 million in damages to Innogenetics. As reported on Patent Docs (see January 8 and January 12), the District Court upheld the jury's $7 million damages award on January 3, 2007, and one week later, issued a permanent injunction in favor of Innogenetics, halting sales of Abbott's HCV genotyping test kits. In response to the District Court's decision, Abbott sought an emergency motion to stay the injunction pending its appeal to the Federal Circuit. On January 19, the Federal Circuit temporarily stayed the injunction. However, on March 8, that temporary stay was lifted. Additional information regarding this case can be found here. 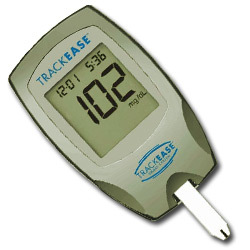 A District Court in Indianapolis ruled last week that Home Diagnostics' TrueTrack® and TrackEASE® blood glucose monitoring systems do not infringe U.S. Patent No. 5,366,609, owned by Roche. The lawsuit had pitted Roche, one of the leaders in the medical diagnostics industry, against a discount seller of competing products. 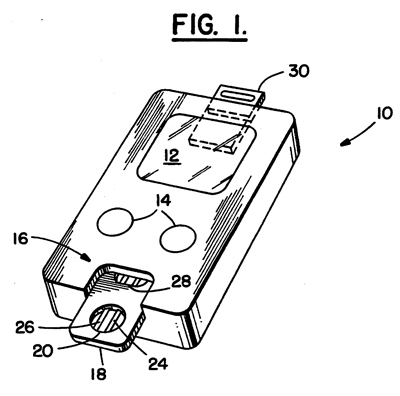 The Roche patent is directed to a biosensing meter that has a pluggable ROM key. The pluggable key contains data that enable the meter to perform certain test functions. The asserted claim contained several means-plus-function elements. The case largely turned on the District Court's construction of these elements (see Court's Order on Claim Construction). In typical claim construction, courts should resist reading limitations from the specification into the claims. The text of the claims establishes their scope. If the accused device falls within the scope of the claim's periphery, the device infringes. But the infringement analysis differs for means-plus-function claims. "Literal infringement of a means-plus-function claim limitation requires that the relevant structure in the accused device perform the identical function recited in the claim and be identical or equivalent to the corresponding structure in the specification." Even for doctrine of equivalents (DOE) infringement of a means-plus-function limitation, the accused device must "perform the identical function in substantially the same way, with substantially the same result." Means-plus-function claims can ease some of the headaches of patent prosecution, but they can come back to bite patentees when they try to enforce the claims against an accused infringer. In drafting means-plus-function claims, patentees should be careful to: (i) define the function very broadly, and (ii) provide a wealth of embodiments that can serve as corresponding structures. Otherwise, would-be licensees may find little difficulty designing around the claimed invention. In this instance, the Court's claim construction left Roche with relatively narrow claims that had little power to exclude potential infringers. Roche Diagnostics Corp. v. Home Diagnostics, Inc., 04-cv-1187-LJM-JMS (S.D. Ind. 2007). Robert Dailey, Ph.D., is a physical chemist and a third-year law student at the University of North Carolina at Chapel Hill. Dr. Dailey was a member of MBHB's 2006 class of summer associates, and is a regular Patent Docs contributor. 2. A method of treating a human breast or prostate tumor in a mammal, comprising administering to said mammal an isolated monoclonal antibody or antigen binding fragment thereof which binds to the same epitope as the monoclonal antibody produced by the hybridoma deposited with the ATCC as accession number PTA-4890, wherein said administration is in an amount effective to induce cytotoxicity and thereby reduce said mammal's tumor burden. 1. The isolated monoclonal antibody produced by the hybridoma deposited with the ATCC as Accession Number PTA-4889. 10. A method of treating a breast tumor in a mammal, comprising administering to said mammal the isolated monoclonal antibody produced by the hybridoma deposited with the ATCC as accession number PTA-4889 or an antigen binding fragment produced from said isolated monoclonal antibody, in an amount effective to reduce said mammal's tumor burden. ARIUS discovers antibodies using its proprietary FunctionFIRST® platform, which involves high-throughput functional screening for antibodies that bind to cancer cell antigens and that selectively kill or inhibit growth of the cancer cells. On March 7, 2007, INEX Pharmaceuticals Corp. and Alnylam Pharmaceuticals, Inc. announced that the United States Patent and Trademark Office (USPTO) issued a Notice of Allowance for U.S. Application No. 09/431,594, which covers nucleic acid-lipid compositions. According to the statement released by INEX, the allowed claims "cover cationic liposome compositions that contain oligonucleotides, including double-stranded RNAs such as siRNAs." INEX and Alnylam will be adding the new patent to previously issued U.S. Patent Nos. 5,976,567; 6,815,432; and 6,858,225, which INEX states cover the "delivery of oligonucleotides with cationic liposomes." In an identical release issued by Alnylam, Chief Intellectual Property Counsel Dr. Robert Millman stated that "[g]iven both the newly allowed claims and previously issued patents, we believe that the Wheeler and Semple patent series represent the broadest intellectual property estate covering lipid-based delivery technologies for RNAi therapeutics." Information about RNA interference (RNAi) can be found here. said conjugated lipid is a PEG-lipid. Avalon Pharmaceuticals® announced in a March 7, 2007 press release a collaboration with Merck & Co., Inc. for drug discovery, development, and commercialization of inhibitors of a target that is important in cancer development. Avalon brings its AvalonRx® screening technology platform to the collaboration and will screen a number of candidate compounds from Merck's proprietary compound library. Avalon will identify potential inhibitor compounds of the unmentioned target which has, according to the release, proven difficult to inhibit. Avalon will select and optimize compounds to the preclinical stage, where Merck will assume responsibility for clinical development, regulatory approval, and commercialization of any candidate inhibitor compound. Avalon has the potential to receive milestone payments in excess of $200 million as well as royalty payments on any marketed drug products. On Monday, Canadian pharmaceutical company Biovail (NYSE: BVF) announced that it had reached a comprehensive settlement with Anchen Pharmaceuticals, Impax Laboratories, Teva Pharmaceutical Industries, and Watson Pharmaceuticals with respect to Wellbutrin XL® (bupropion HCl), a once-daily antidepressant which has a low incidence of sexual dysfunction, weight gain, and somnolence, and which is believed to act on norepinephrine and dopamine. In December 2004, Biovail filed a patent infringement suit in the Central District of California against Anchen Pharmaceuticals, which had filed an abbreviated new drug application (ANDA) for generic 150 mg and 300 mg versions of Wellbutrin XL®. At that time, Biovail also filed suit in the Southern District of Florida against Abrika Pharmaceuticals, which had filed an ANDA for a generic 150 mg version of Wellbutrin XL®. Biovail contended that in filing their ANDA's, Anchen and Abrika had infringed U.S. Patent Nos. 6,143,327 and 6,096,341. In March 2005, Biovail filed suit in the Eastern District of Pennsylvania against Impax in response to Impax' submission of an ANDA for generic 150 mg and 300 mg versions of Wellbutrin XL®. Biovail's pending actions against Impax and Watson would be dismissed. Biovail had granted an exclusive license to Anchen, Impax, and Teva to market a generic 300 mg version of Wellbutrin XL® from December 13, 2006 until June 13, 2007. 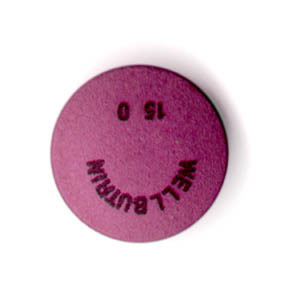 Anchen, Impax, Teva, and Watson will not market a generic 150 mg version of Wellbutrin XL® until 2008. Biovail had granted an exclusive license to Anchen, Impax, and Teva to market a generic 150 mg version of Wellbutrin XL® for 180 days following market entry. The agreement did not have any impact on Biovail's infringement action against Abrika, which remains pending. Additional information regarding this settlement can be found in a release issued by Anchen Pharmaceuticals and a release issued by Impax Laboratories. Novartis announced today that the U.S. Food and Drug Administration approved the use of Tekturna® (aliskiren) for the treatment of high blood pressure as a single therapy or in combination with other high blood pressure medications. Apparently, the FDA had previously indicated that it would need more time to review the Tekturna® new drug application (NDA); causing some to speculate that the drug would not be approved or that the approval would be limited. Novartis developed Tekturna® in collaboration with Speedel, a biopharmaceutical company specializing in cardiovascular and metabolic diseases. It is estimated that high blood pressure occurs in almost one billion people worldwide and is not adequately controlled in about 70% of those affected. Tekturna® (aliskiren) is the first in a new class of drugs called "direct renin inhibitors." Renin is a circulating enzyme involved in the biochemical pathway that regulates blood volume, sodium chloride concentrations in the blood, and blood pressure. More information about renin can be found here. Novartis says that Tekturna® will be available this month in once-daily oral tablets at 150 mg and 300 mg dose strengths. Also, Tekturna® is under review in the European Medicines Agency for approval throughout the European Union, where it will be called Rasilez® if approved. Additional information regarding the FDA's approval of Tekturna® (aliskiren) for the treatment of high blood pressure can be found here.